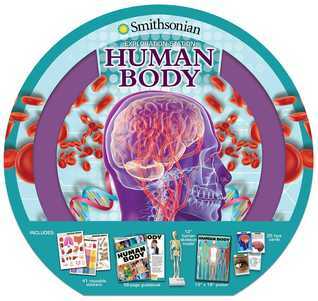 Discover how the human body works by engaging in this interactive kit that teaches all about how the human body works. 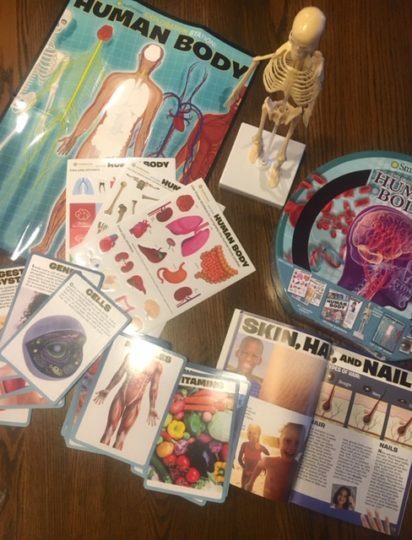 This kit includes a 13-piece skeleton model, a book of facts, 25 flashcards, and a poster with 30 reusable stickers. 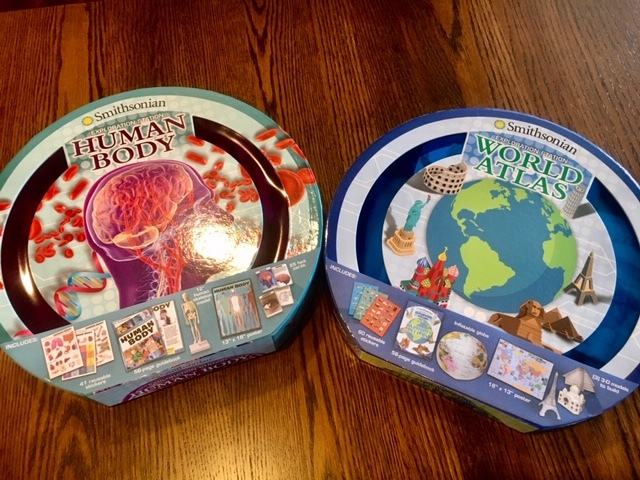 This kit is an excellent resource to enhance learning for upper elementary and middle school-aged kids learning about how the human body works. The skeleton was a bit tough to put together and I spent 15 minutes on it. I think most kids would need adult help with it. But the movable parts show kids how our body moves and connects as well as protects vital organs. The poster and stickers offer kids a way to test themselves on all the body parts. The flashcards give important facts about critical parts and systems of the body. Finally, the book offers the most details about the body starting from the inside and working our way out. There is also an important section on how to keep our bodies healthy and in shape. I highly recommend this as a gift for future-doctor/nurse-wannabes, homeschooling families, kids interested in science, and classroom science teachers. 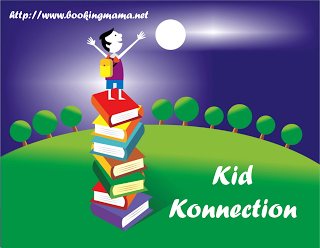 Is your child curious about the world we live in? Are you frequently asking where countries that are in our new are located? Are they learning about the countries of Europe and school and need help studying for their next test? This kit fits all of these needs and more. 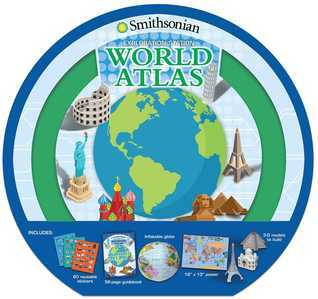 The World Atlas kit includes an inflatable globe, a poster map with 60 reusable stickers, 3-D models of the Eifel Tower, the Taj Majal, and the Chichen Itza. There is also a book covering all the continents with highlights of well-known locations, natural landmarks, and fun facts. Pictures are included of all the flags which I really enjoyed looking through and seeing the colors and shapes used by various countries. The 3-D models are made out of a glossy card stock and look fairly simple to put together. I didn’t try putting them together as I assume you wouldn’t want to take them apart too many times. I know our school teaches each of the continents and then gives tests over all the countries in that continent. I wish I had this resource when our kids were going through those lessons. The map and reusable stickers will have been invaluable for studying. The book also would have helped with their report on that specific area of the world. 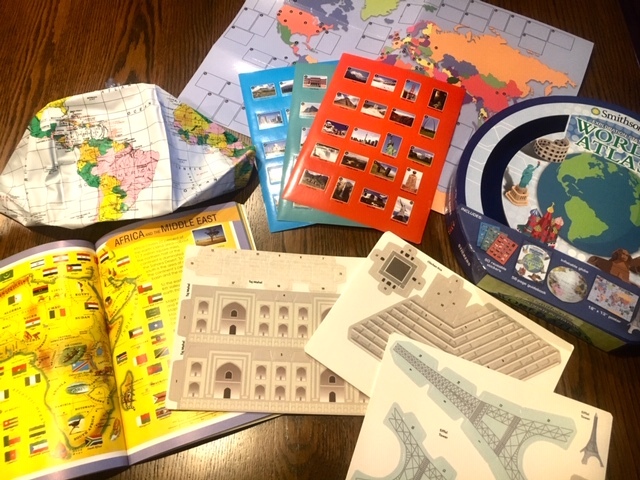 This would make a great gift for a family that wants to learn about all the wonderful places in our world, a social studies teacher in elementary or middle school classrooms, or a homeschooling family. 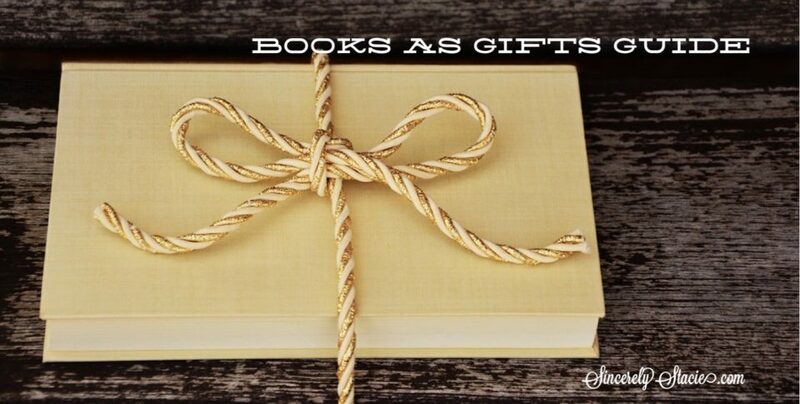 For less than $20 (as of this post) you can give an educational and useful gift to a child, family, or teacher. For kids interested in space there is an Exploration Station for them too! Thanks to the publisher for sending these items for the purpose of this review. This review is my honest opinion. If you choose to purchase these items through the above links, I may receive a small commission without you having to pay a cent more for your purchase.